California Steel is located in North Las Vegas and services the entire Las Vegas Valley, including Summerlin, Red Rock, Boulder City, Henderson, and even Pahrump. We stock a wide variety of over 4500 products. 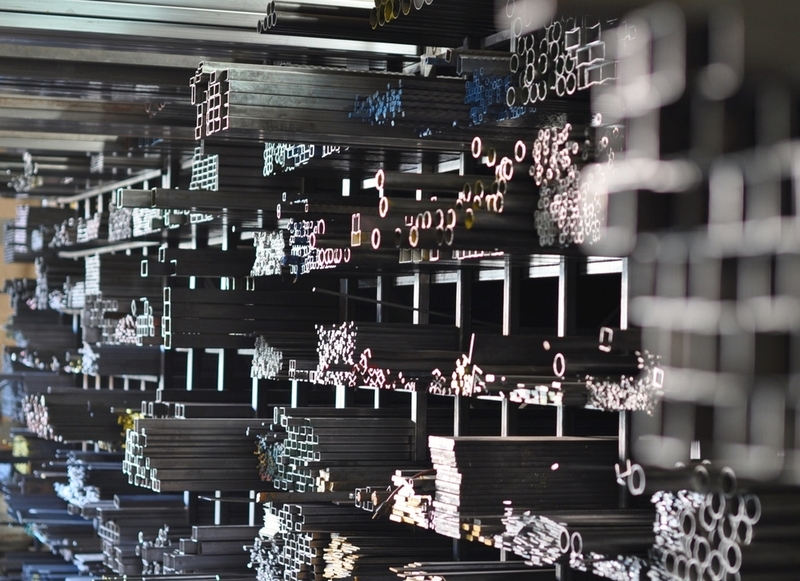 We carry hundreds of different sizes of square tubing, round tubing, flat bar, angle iron, channel iron, square solids, round solids, expanded metal, plates, diamond plate, sheet metal, and privacy screen. Our line of products includes thousands of different decorative steel, iron, cast iron and aluminum products. This includes all types of ornamental iron castings and forged steel for fences, gates, railings, handrails, staircases, picket castings, iron finials, balusters, stampings, forgings, rosettes, shoes, base plates, molded handrails, and fittings, just to name a few. We have hundreds of finials, balusters, spears, and pickets to choose from. If you don't see what you need, we can often fill custom orders through our worldwide network of top manufacturers. We can provide all the decorative iron and steel your job requires. In 1989 Efrain Hernandez got a feel for the steel industry, and liked it. Working as a stock boy, sales representative, and driver for over ten years at Commercial Steel in Los Angeles, California gave him the experience and insight necessary for what was to come. In 1998 Efrain decided to branch off and start his own business from his backyard in the city of Compton, California. Running strong in a competitive market was a challenge, but he saw it could be done. Efrain looked elsewhere to expand his business. Seeking near and far, he took a leap of faith, and had his family pack their bags and hit the road. 1999 was a monumental year for him and his family. Settling in the heart of Downtown Las Vegas, California Steel Tube and Ornamental Supply opened their doors to all! Making Downtown their home for over 13 years through up and downs California Steel remained rooted. Outgrowing their beloved Downtown Location California Steel moved to North Las Vegas in 2012 where business keeps picking up and the demand for steel never ends.